Airplex has a huge range so you can get the right product for the make and model of your vehicle. From door weather shields, headlight protectors and tow bars to roof racks for luggage, bicycles or surfboards - Wrack Auto can advise on the best product for your vehicle and also provide an installation service when required. Airplex is 100% New Zealand owned and operated. 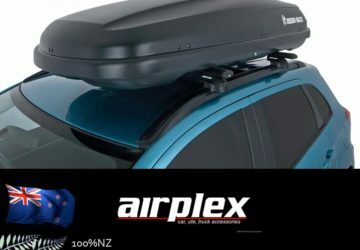 Contact Wrack Auto for the Airplex product range of accessories for your car, ute, 4x4, or truck.